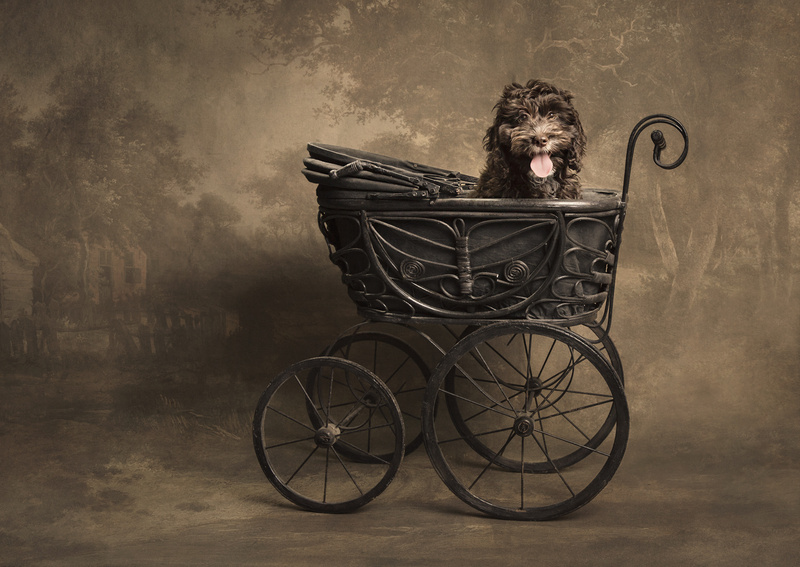 This is Maisie, 12 week old Cockapoo – the sweetest and most obedient little puppy I’ve come across so far. She was so good, I let her mum leave the room keeping her entertained with squeaky toys and treats (not the mum, Maisie of course! ). 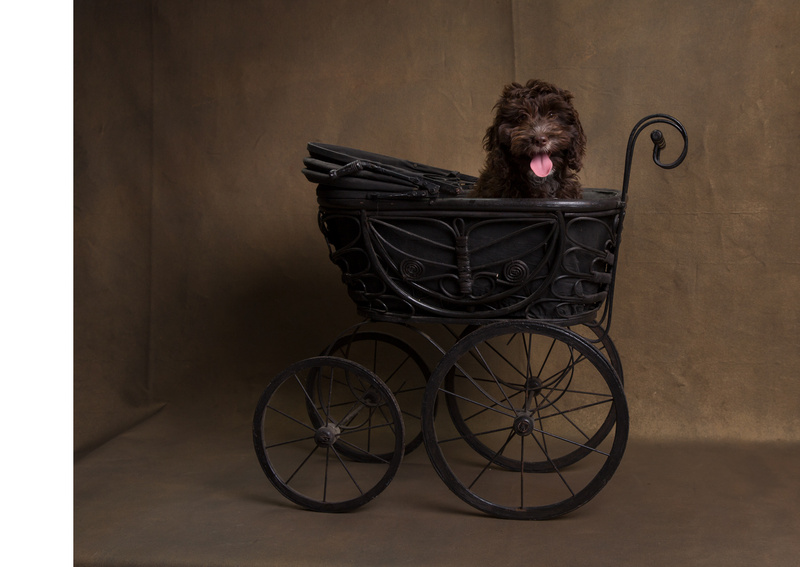 Sometimes the artist in me takes over completely and follows a dream…in this case I purchased this beautiful Victorian dolls pram to use with puppies and smaller dogs…then I applied the old style in post processing.